Spurred by the most recent loss to Harvard, the University’s undergraduates held a mass meeting in the college chapel on the morning of November 12th and passed resolutions to amend the Athletic Association’s constitution. The amendments proposed by the students would have altered the composition of the Board of Directors of the Association from ten graduates and five undergraduates to eight undergrads and seven graduates, and would have allowed undergraduates to chair athletic committees. 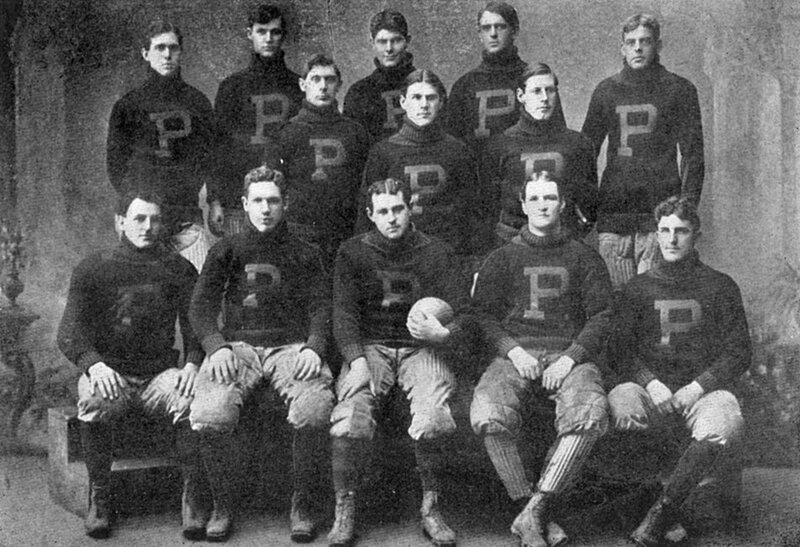 The avowed purpose of these student proposals was to “drive Chairman John C. Bell of the football committee from power,” claiming “that he is responsible for many of the abuses that have crept into the management of athletics at Pennsylvania.” The Brooklyn Eagle of November 13th reported, and the University Record of the same day agreed, that “[Coach] Woodruff and Bell are intimate friends and the students believe that it is due to Bell’s influence that Woodruff maintains his position as foot ball coach. They therefore believe that the quicker way to get rid of Woodruff is to oust Chairmen Bell.” The students advocated for increased representation because it seemed the best way to achieve their eventual goals: the removal of George Woodruff as coach and an overhaul of the coaching system. Though their goals were clear, their motivations remain unclear. The University was aware of the undergraduates’ discontent. Hoping to prevent any drastic action, a member of the University of Pennsylvania’s Board of Trustees gave a speech on “Athletics at the University” at the November 12th meeting. He announced plans to “improve Franklin Field and the athletic department,” in part by building of a new public gym. The undergraduates endorsed these efforts, but were not dissuaded from calling for further change. On November 15th, three hundred and fifty dental students held their own mass meeting and passed resolutions mirroring the demands of the undergraduates: building a new gym, enhancing Franklin Field, and changing the composition of the Athletic Association’s Board of Directors so that the undergraduates would have a majority. It is evident from the Dental students response that their call for representation was but a means to an end. That end was the reformation of the coaching system, including the removal of George Woodruff. While the dental students sided with the undergraduates against the athletic administration in a debate about the nature of athletics at the University, Woodruff and the team kept playing — alebeit badly: the team barely won against the Carlisle Indians (16 – 14) on the 16th, and in their first game together lost to West Point (0 – 24) on the 20th.